Given the stakes, its worth pondering how the cross-currents at play are affecting advisors internationally. Given the stakes, it’s worth pondering how the cross-currents at play are affecting advisors internationally. Independence Day 2014, now two weeks past as I write this column, was a time for most Americans to relax and gather with family and friends. 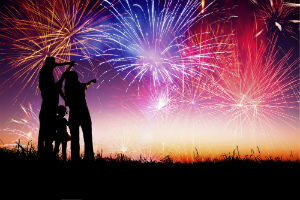 For the more serious-minded among our compatriots, July 4 was also a time to reflect on America’s place in the world: the nation’s good fortune; the advantages it affords to those who strive to get ahead; and, whether by design or happenstance, shortcomings that impede the advancement of individuals, businesses and industries. For life insurance producers and financial services professionals, such pros and cons are particularly topical now because of the unprecedented pace of change in their community. Technology — mobile devices, electronic application processing, online social networks — are forcing advisors to revamp their practices, in part to keep pace with changing social customs and rising consumer expectations about the ease and speed with which business should be conducted. The changes extend to products. In a low interest rate environment, carriers that once boasted generous guarantees for living benefits and product riders are scaling back their offerings to stay in the black. That’s driving life insurance sales professionals to ratchet up the quality and scope of services. Also to consider is a legislative and regulatory environment ever in flux. The industry faces continuing threats from Congress to the tax-favored treatment of life insurance. New tax and practice rules imposed by the IRS and industry regulators — the SEC, FINRA and the states — are increasing the compliance burden on advisors. Not least among the industry’s worries are fiduciary standards under considerations at the Securities and Exchange Commission and Department of Labor that could significantly increase the cost of doing business for advisors, prompting those less able to adapt to fold their practices. Given the stakes for the industry, it’s worth pondering how the cross-currents at play are affecting life insurance and financial service professionals internationally; and whether U.S. counterparts might benefit from their experience. The 2014 annual meeting of the Million Dollar Round Table offered a forum for comparing practice management challenges across countries. I attended the gathering; and some of the views conveyed by foreign producers I met from Europe, Asia and Latin America served as a cautionary tale for their U.S. colleagues. The words of warning focused in large measure on local regulatory conditions. In Canada, for example, providers of segregated funds (variable annuities) have had to substantially increase their capital reserves to maintain contract guarantees. As a result, many Canadian life insurers have left the business; only a handful still offer the guaranteed lifetime withdrawal benefit (GLWB) in VA contracts. Turning to Europe, the U.K.’s Financial Services Authority now requires formerly commission-based producers to derive all compensation from fees. The regulatory change prompted an estimated 50,000 life insurance agents and brokers to leave the business. Those who remained could no longer count on a continuing revenue stream from trailing/renewal commissions — a loss that came down especially hard on boomer-age producers who had hoped to secure a comfortable nest egg from the sale of the practices. The U.K. is not alone in moving to a fee-only regime. Australia and New Zealand, among other countries, now (or soon will) be bound by similar compensation models. To the extent these regulatory changes have, as in Britain, prompted an industry exodus or boosted practice costs, they harm the very people they’re meant to protect: consumers. While U.S. producers dependent upon commissions can (for now) count their blessings, they might also pine for advantages enjoyed by some of their foreign colleagues. One that was much in evidence at the MDRT meeting this year was the extraordinary pride and enthusiasm that Asia-based agents expressed in their profession, in being an MDRT member, and in belonging to a cohesive professional community. U.S. producers — among them the many independent advisors who once worked as career agents — might benefit from a dose of these high spirits.